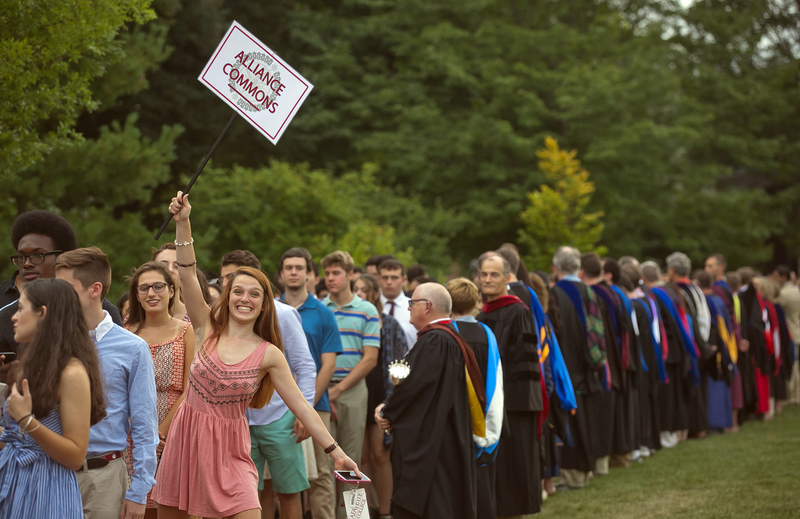 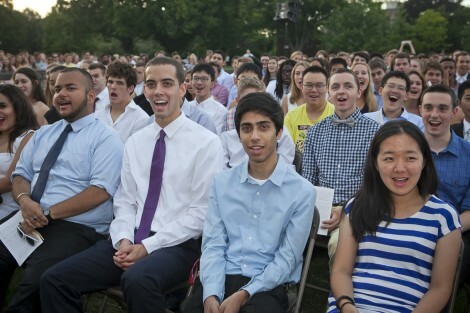 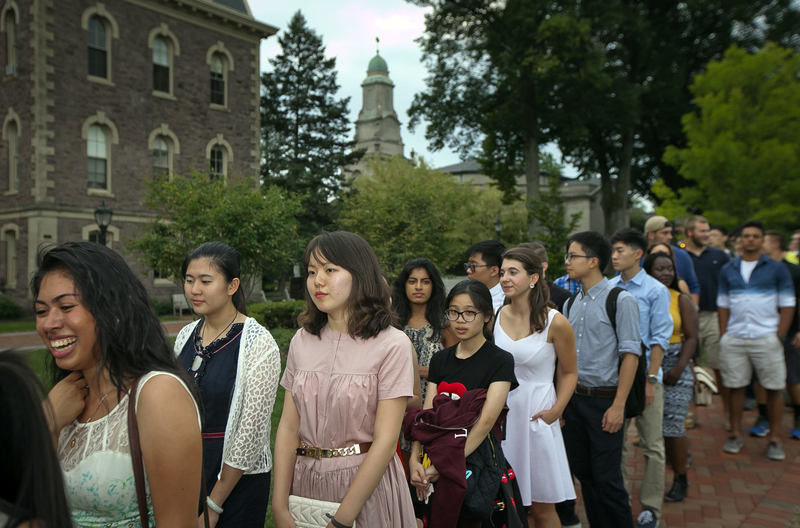 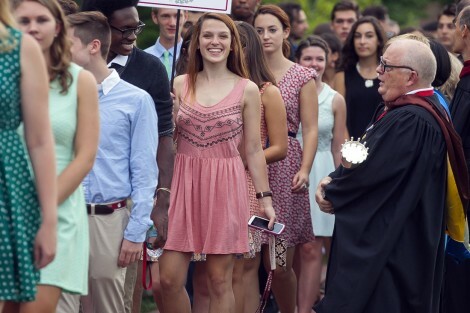 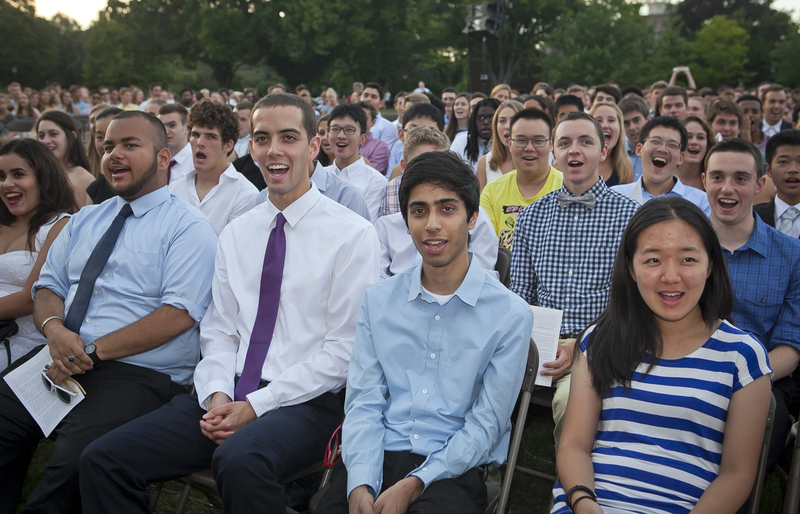 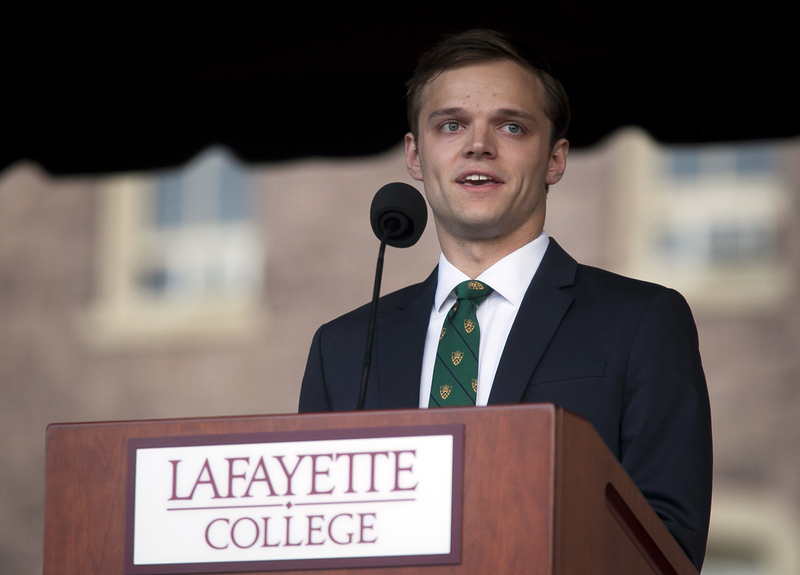 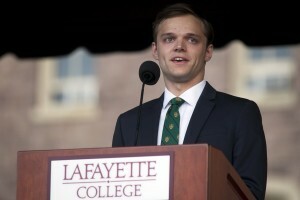 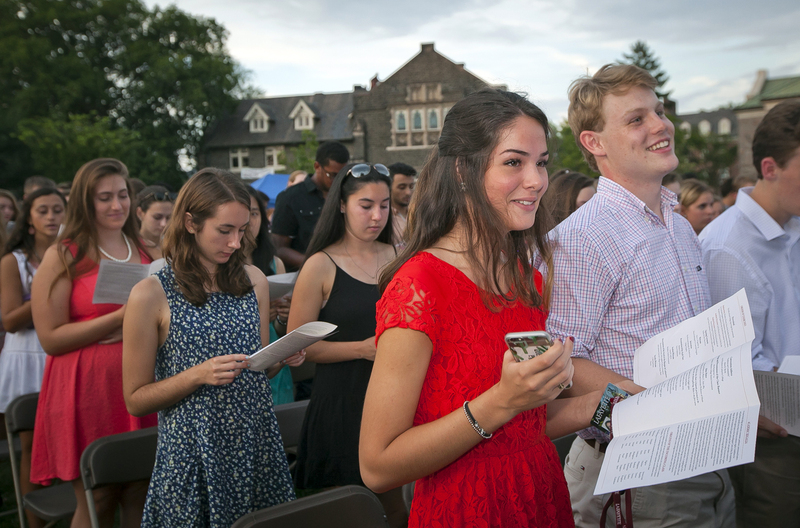 Lafayette officially opened the 184th academic year with Convocation ceremonies Sunday. 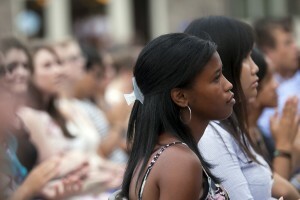 The event is the final piece of new student orientation. 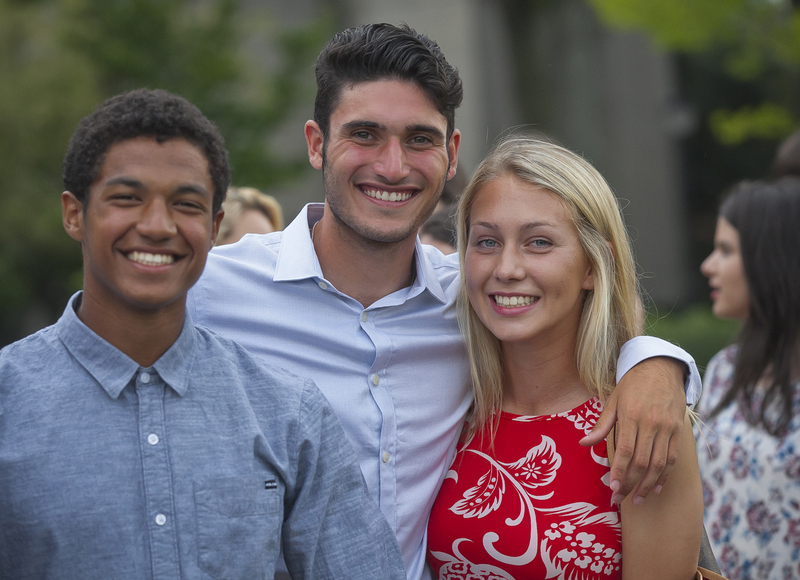 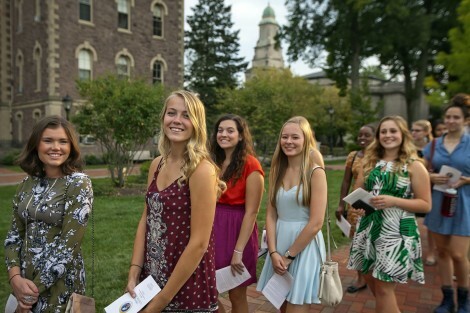 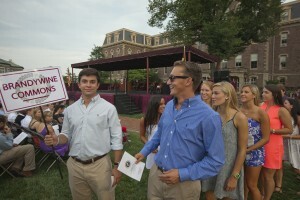 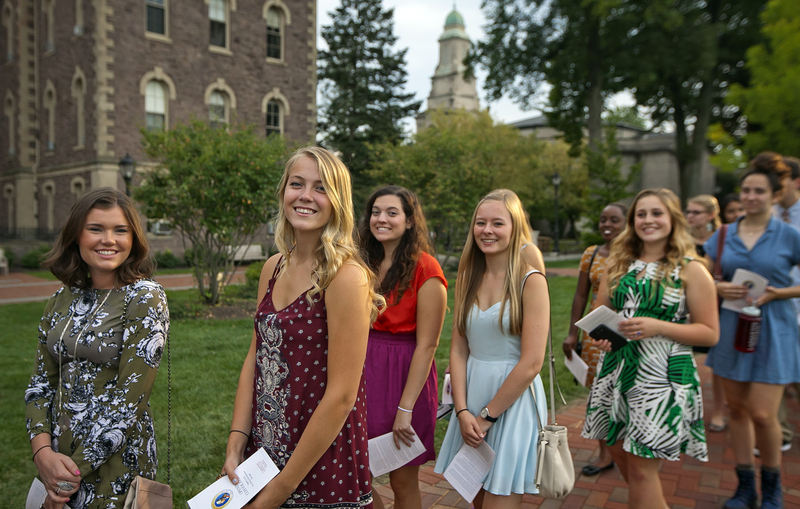 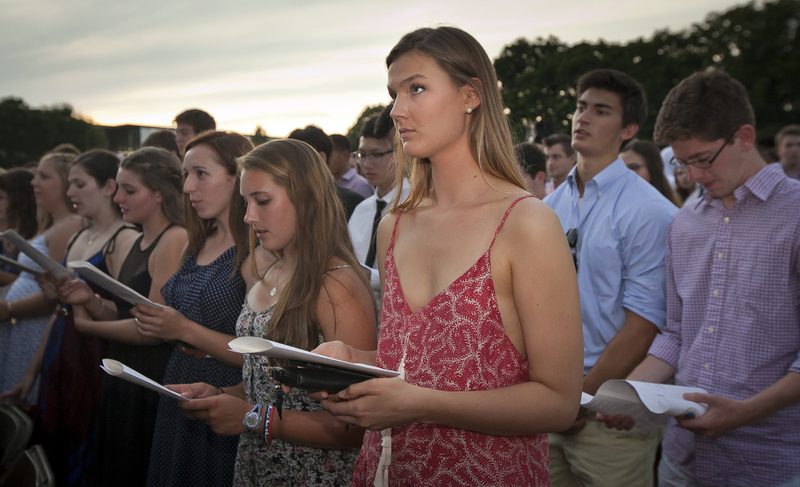 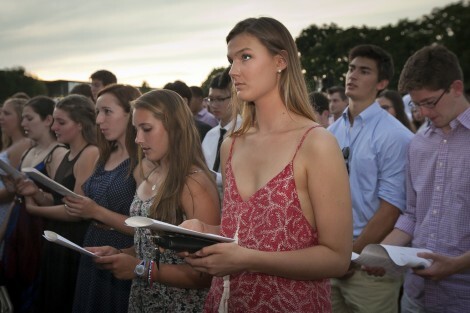 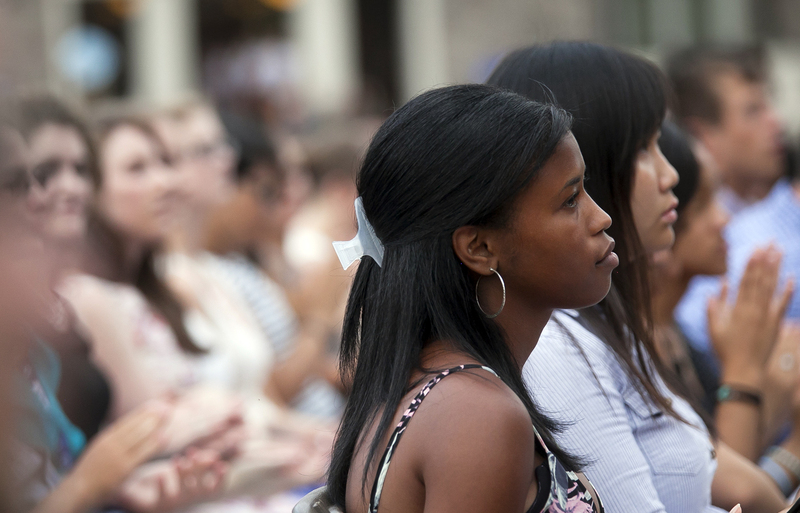 As part of the new Connected Communities program, the 673 first-year students attended the ceremony as one of five class commons – Victoire, Alliance, Hermione, Cadmus, and Brandywine. 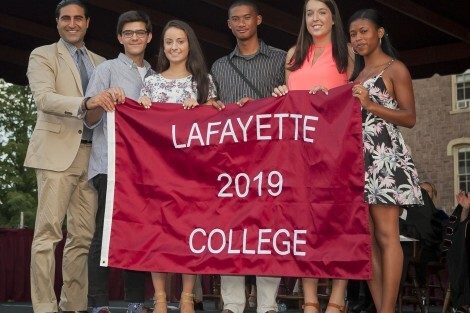 Convocation is presided over by President Alison Byerly and includes the new tradition of presenting the sword of the Marquis de Lafayette to the incoming class. 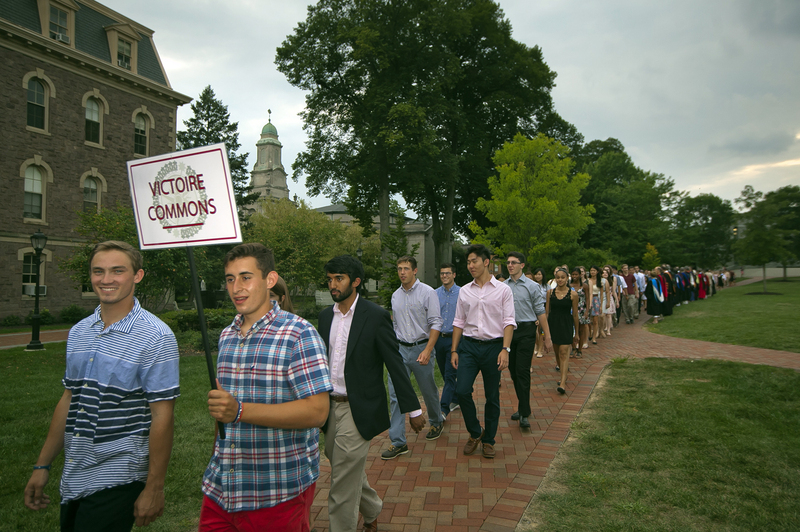 Students from Victoire commons make their way through the Quad. 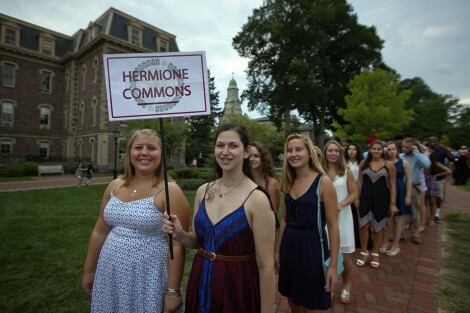 The Hermione commons arrives for the ceremony. Members of Alliance commons arrive on the Quad. 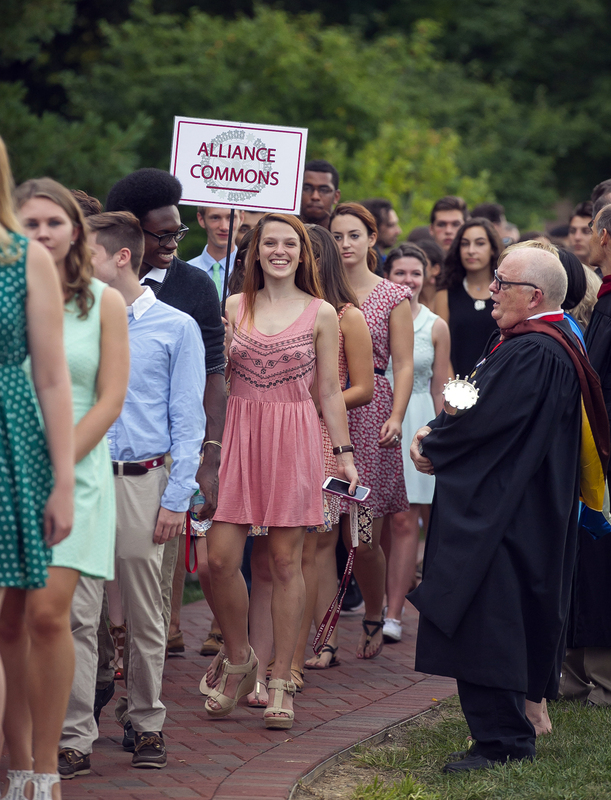 This student is very excited about the new commons system. Cadmus commons strolling through the Quad. 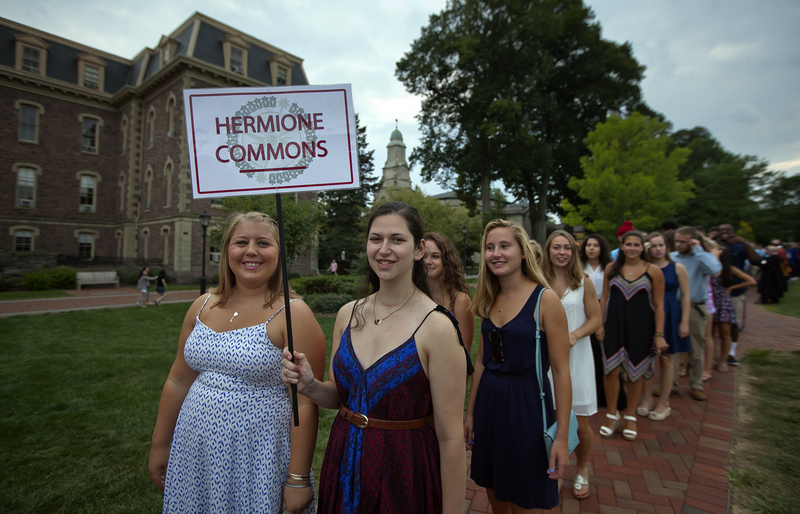 Members of Brandywine commons wait to take their seats. 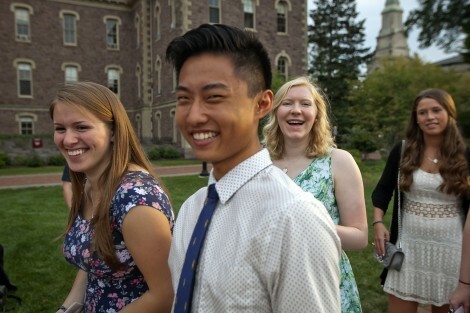 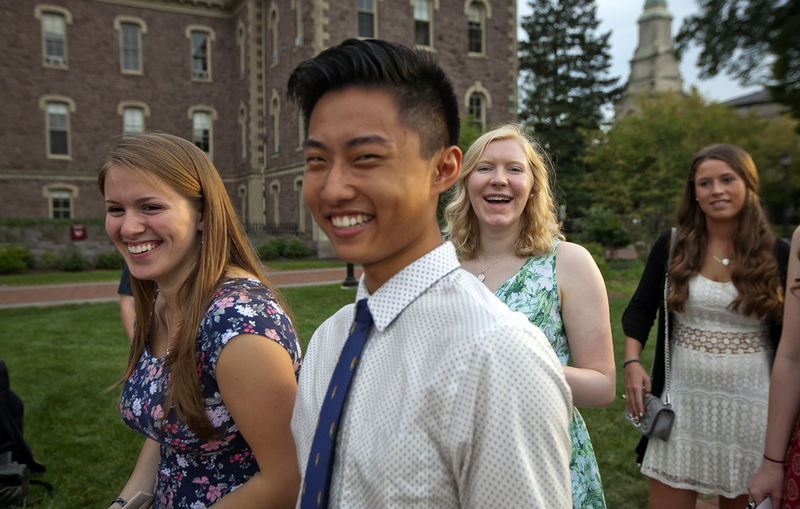 Students in Brandywine commons are all smiles. 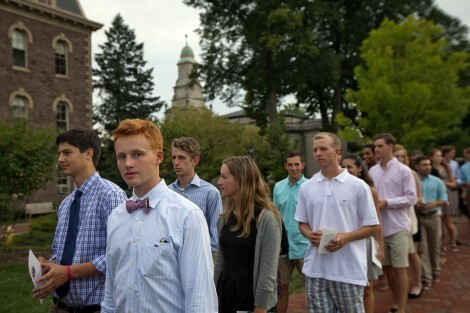 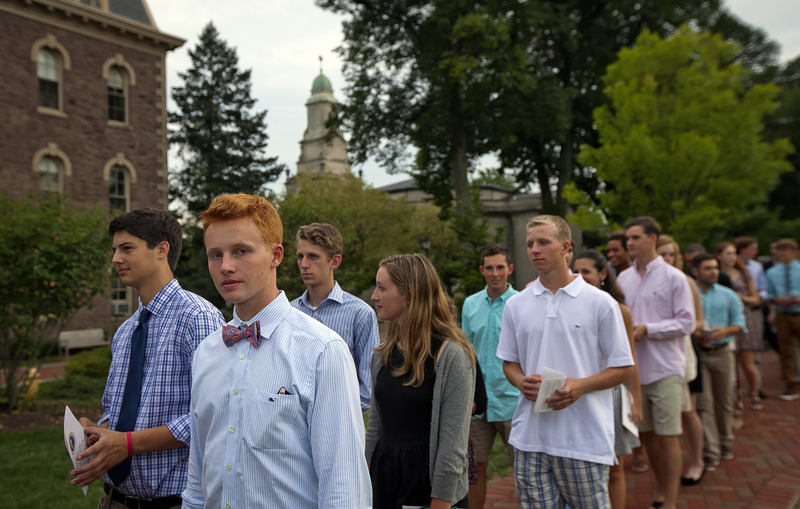 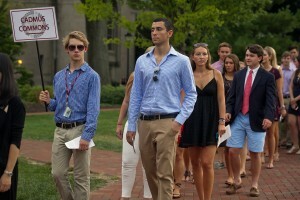 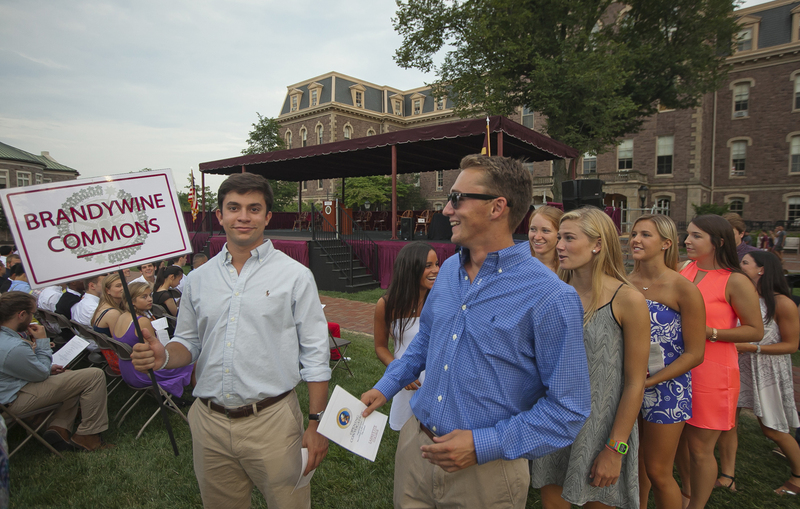 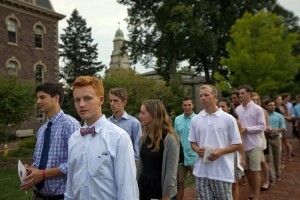 Students in Brandywine enjoy the walk through the Quad. 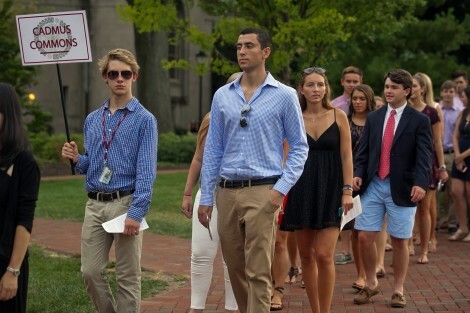 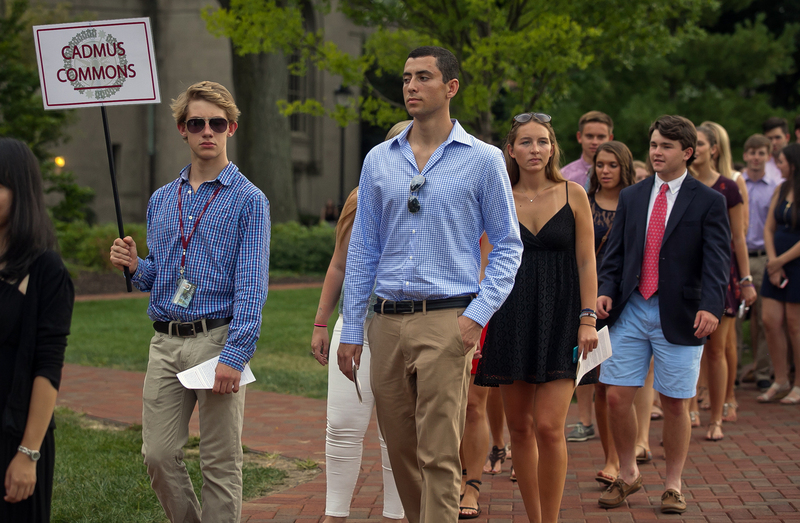 Student Government President Aaron Little ’16 welcomes the news students to campus. 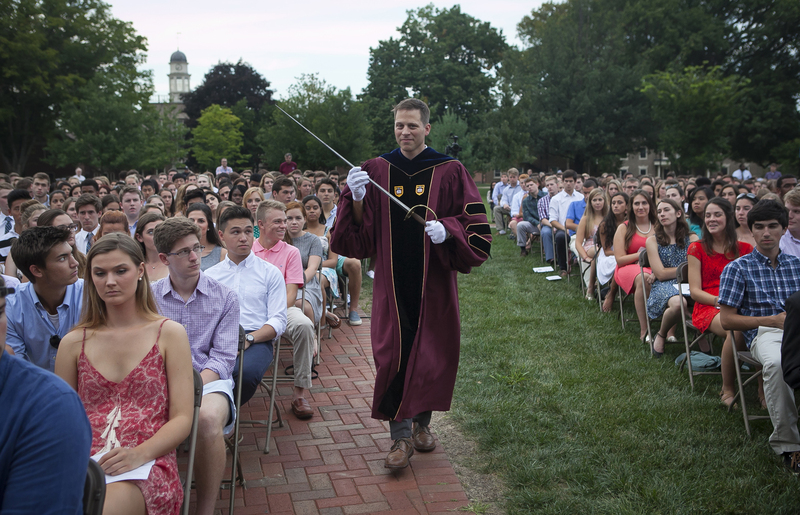 As part of College tradition, Paul McLoughlin, dean of students, presents the sword of the Marquis de Lafayette to the incoming class. 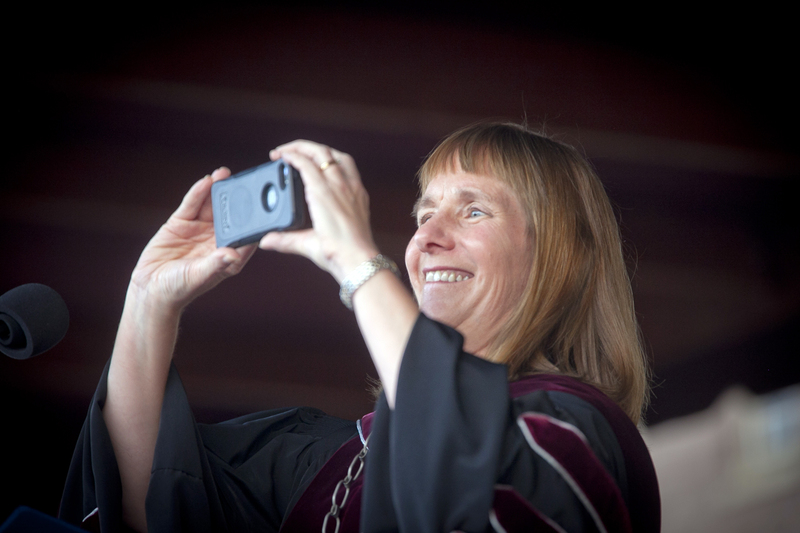 President Alison Byerly takes a photo of the class to post on Twitter. 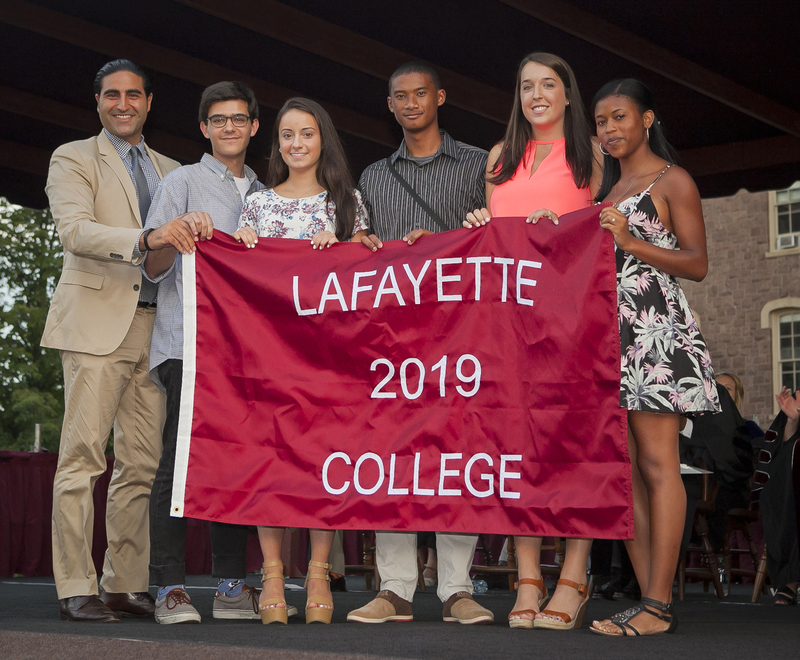 Alex Karapetian ’04, president of the Alumni Association, presents the students with the Class of 2019 banner. 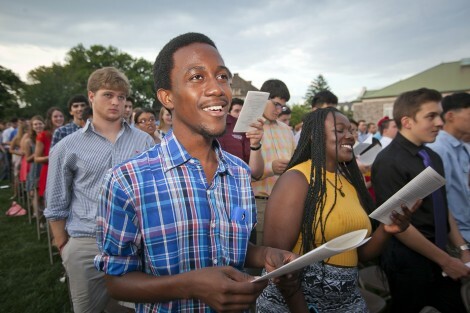 New students sing the alma mater for the first time.